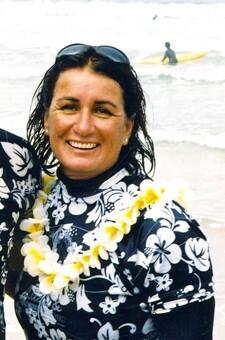 Debbie Beacham "2011 Woman of the Year"
World Champion and Surfer Poll Winner in 1982, and producer of first women's award winning film "Surfer Girl"
By the time she was 18, Debbie Melville was one of the state’s hottest surfers, taking top honors in two of the Western Surfing Association’s AAAA events. In 1971, she placed 3rd in the US Championships and then 2nd in the same event the following year. 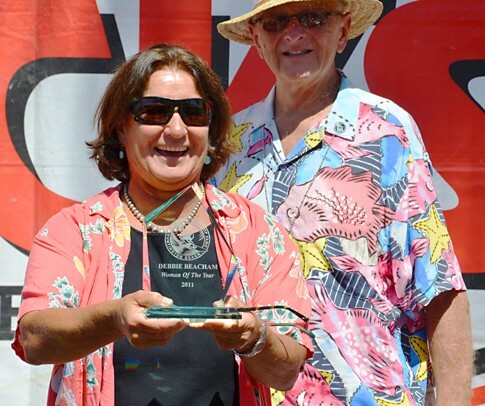 In 1972, she also placed 5th in the World Contest in San Diego. 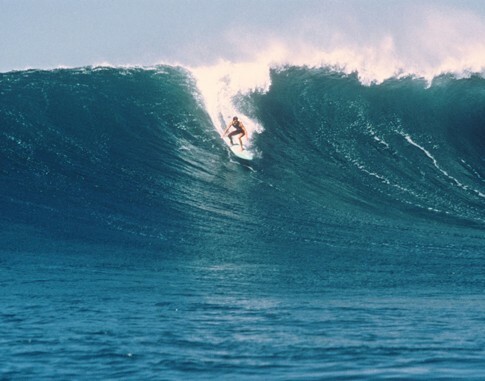 and by 1980, in an effort to improve the state of women’s surfing, Beacham resurrected the Women’s Professional Surfing (WPS) association which had never really gotten off the ground. Including some dozen members, the new WPS held a series of professional events, a mini tour of sorts, and under Beacham’s leadership, the new organization secured sponsors such as Mazda, Bucci Sunglasses, Hang Ten, Michelob, and The Limited. However, the world of surfing was still a man’s world(remove)?. In 1982, Beacham and the women of the WPS joined with the ASP in hopes of more visibility and richer contest earnings and as a way to increase the number of events on the World Tour with higher prize money. 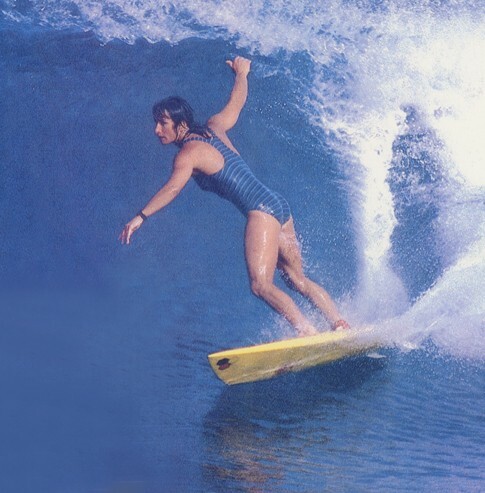 Beacham won the 1982 world title and the 1983 Surfer Magazine Readers Poll during an era riddled with historic talent. From 1985 to 1991, Beacham worked for Surfer Magazine’s advertising department while also pouring remaining time and focus into promoting and organizing contests. She served on the board of the ASP as the women’s representative from 1982-1991, during which time she worked toward insuring equality, if not in prize money, at least in opportunity by pushing the ASP to pressure contest organizers to hold both men and women’s divisions. Beacham later co-produced Surfer Girl in 1994, a surfing documentary shot in 16 mm film starring Beacham, Frieda Zamba, Pam Burridge, Wendy Botha, and Jodie Cooper. Debbie Beacham, a former world champion turned women’s contest promoter. She was recently elected to the ISA Executive Committee as a Vice President . The International Surfing Association (ISA) is recognized by the International Olympic Committee as the World Governing Authority for Surfing. 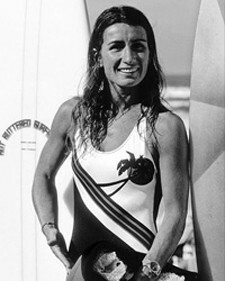 At the end of Surfer Girls, Debbie Beacham calls for young girls to focus on “overcoming the obstacles” and to “have faith in yourself.” For a woman who rose to the zenith of her sport and continued on to fight to gain more opportunities for the next generation of women, these words do not ring hollow. Instead, they stand as blueprint for all the girls who today make a living and follow their dreams in the competitive surfing arena Beacham helped to shape.